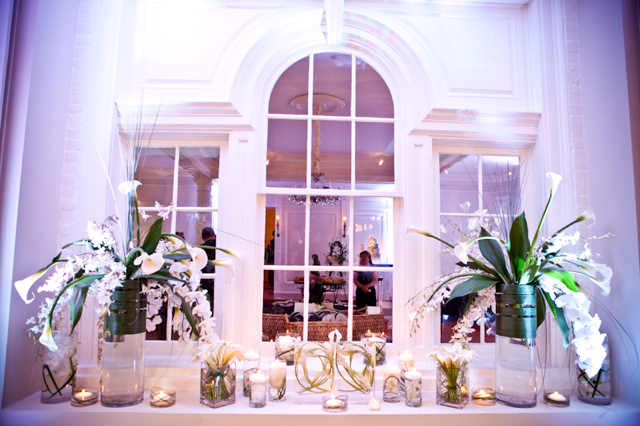 This summer we provided extraordinary all white contemporary wedding flowers to Claire and Tony. 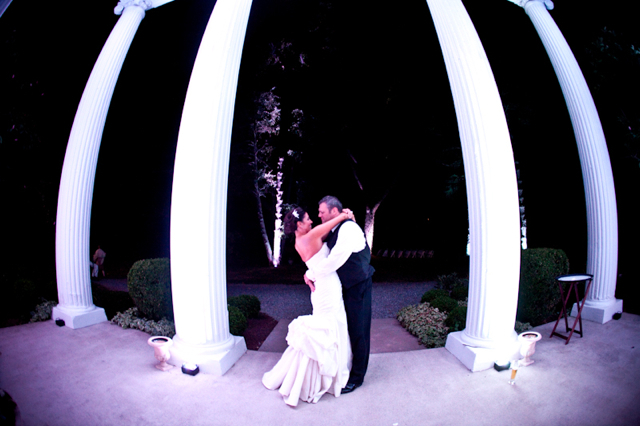 The wedding was held at Whitehall Manor which is of course one of my favorite venues. 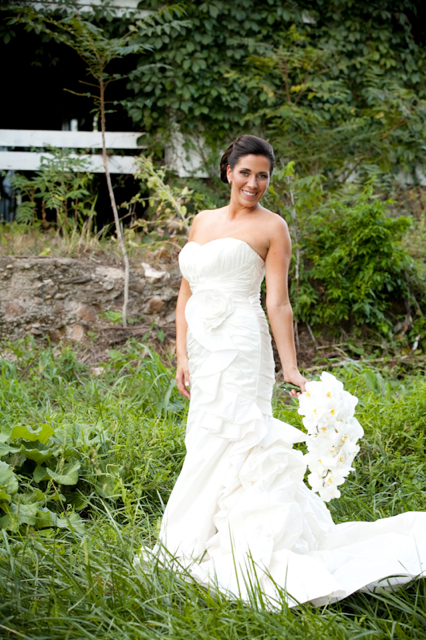 Loudoun County weddings are always so beautiful. Photographer Genevieve Leiper was the artist behind the lens. 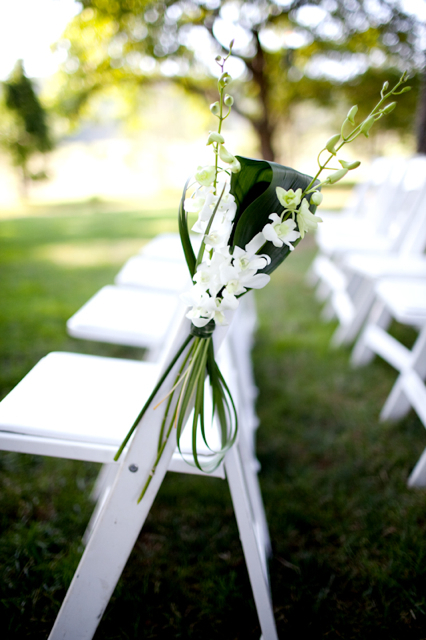 Genevieve always captures the day so perfectly!!! 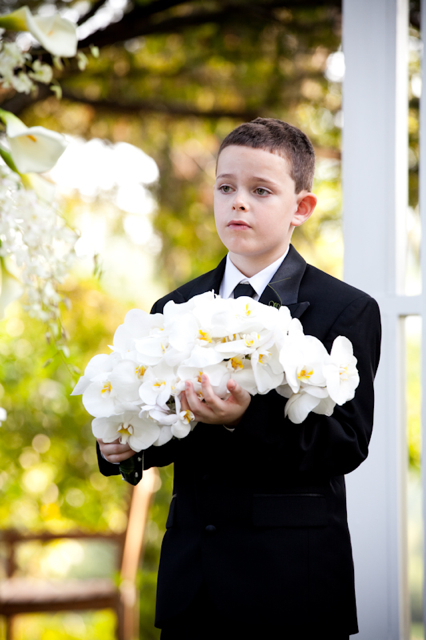 Claire carried a bridal bouquet of all phalaanopsis orchids. 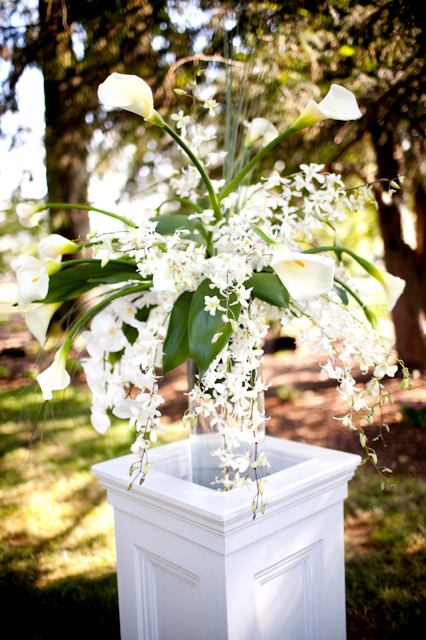 Our Grooms bout, was made with bear grass and white mini orchids. 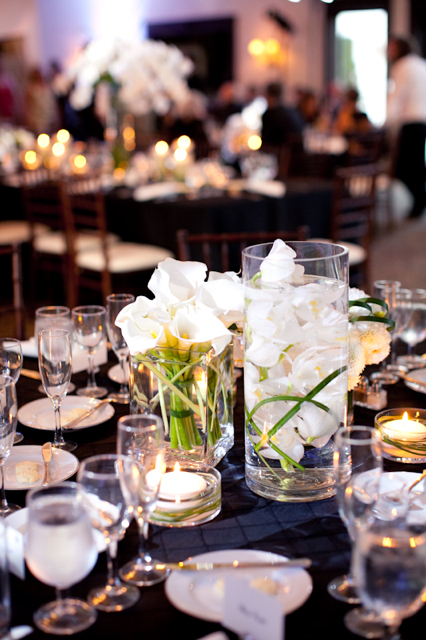 Designs of open cut callas, white dendrobium orchids and phalaenopsis orchids were used to create the altar flowers. 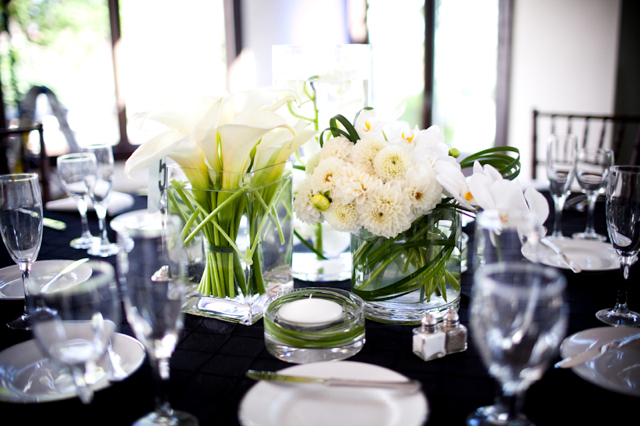 Green leaves and white dendrobiums were used to mark the family reserved seating. 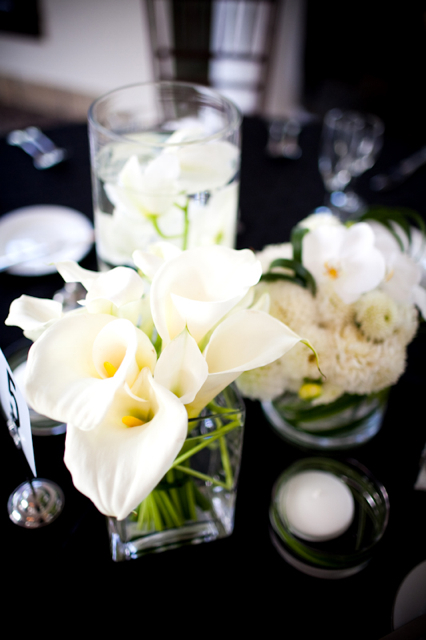 Maids carried bouquets were created with white mini callas. 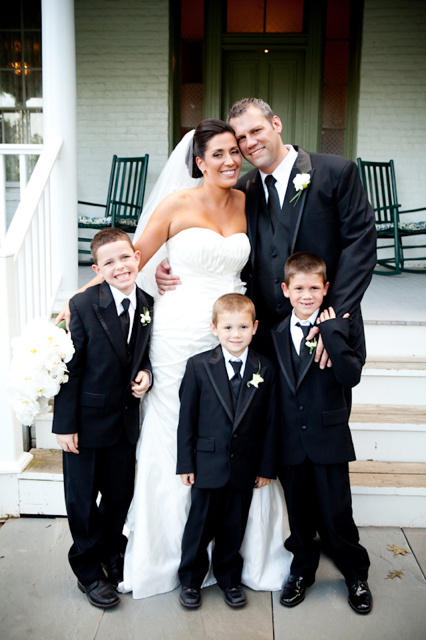 The bride and groom with their 3 sons. 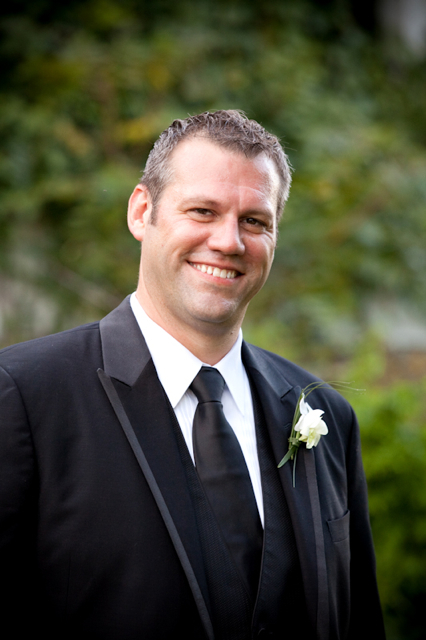 The wedding party was seated at a long king table in the center of the ballroom. 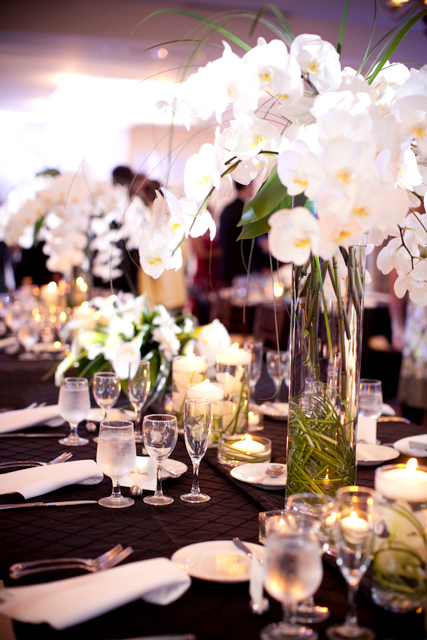 This table featured elevated phalaenopsis orchid designs, and cylinders full of orchids, and candlelight. 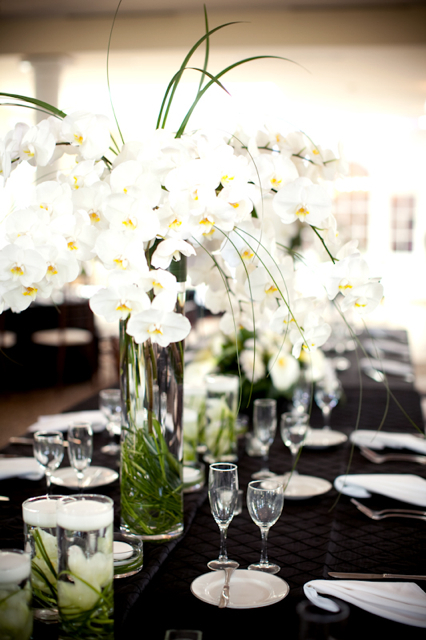 Guest tables featured a design of callas, a design of dahlias, and a design of orchids. 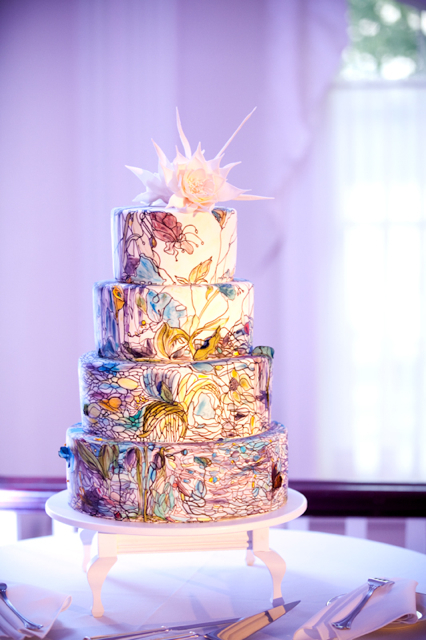 A fabulous Maggie Austin Cake was created for this wedding as well. 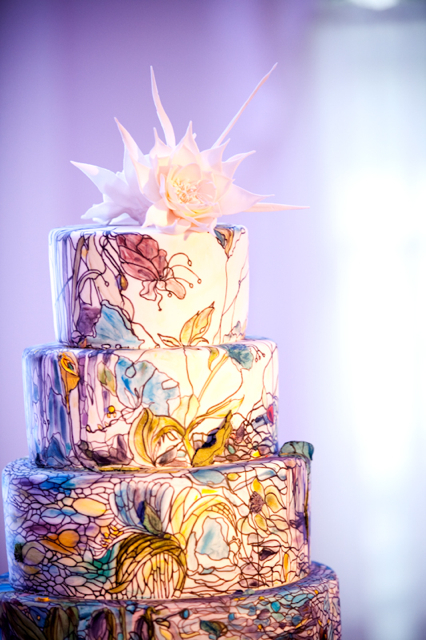 Happy married life Claire and Tony, thank you for allowing us to do some contemporary designs. 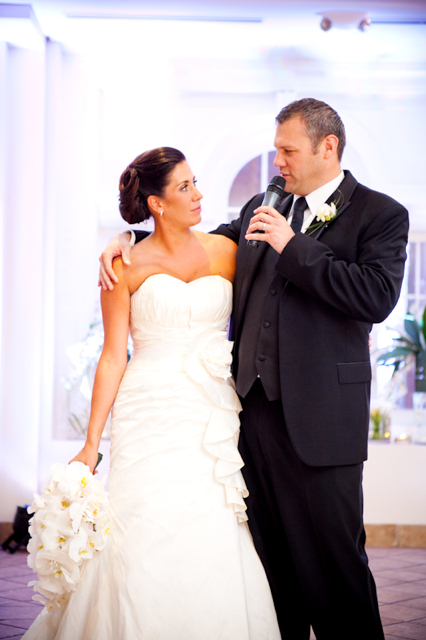 This wedding was stunning and so much fun. 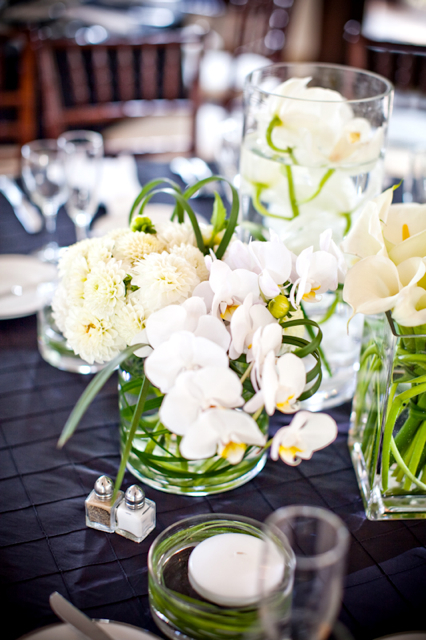 Was this the orchid bouquet that you were telling me about earlier this year? lovely!!! just gorgeous! 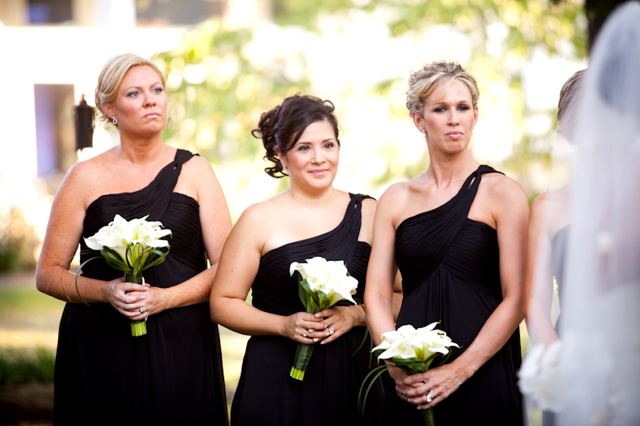 Yes, this is the one!! !